Just a few miles north of the picturesque small town of Henderson, Minnesota, nestled atop the rolling hills of the scenic river valley sits Scenic Escape. The property plays host to two wonderfully paired businesses owned by Kelly and Ryan Horning. The 100 year old barn has been given new life as a wedding and event venue that is filled with centuries old authenticity and charm. 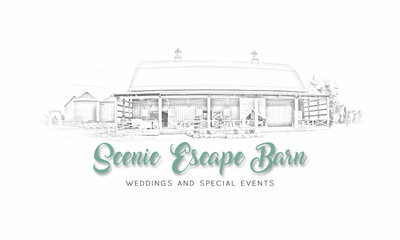 Tucked just a few steps away from the barn, you’ll be surprised to find a fully licensed salon and spa with all the amenities you could hope for when preparing for your special event. The salon is open daily, by appointment, and offers a vast array of services. This perfect pairing makes Scenic Escape a one of a kind gem in our state. to learn more about this enchanting property and its uniquely charming features!